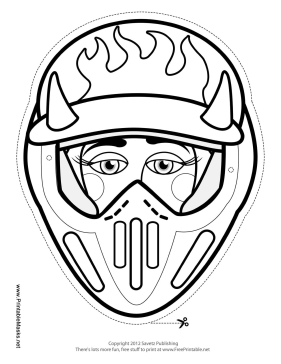 This female motocross mask coloring page has horns and flames on her helmet. Color in her helmet, then attach this mask to your face with string for added fun as you race your own bike. This mask is free to download and print.